Must have affordable yoga pants & workout favorites. I basically live in yoga pants and comfortable clothing since I work from home. I wanted to update y’all since I’ve been getting so many questions on what my favorite brands are lately. Below you’ll find my favorites and some links you can shop them from! I got this pullover from my best friend for my birthday and I’m obsessed with it. I’ve been waiting for the weather to cool down so I can finally start rocking it. I’ve linked some of my favorites below. I got a package in the mail the other day and it was from Ban deo with this gorgeous Adidas bag. I was so excited cause I’ve been wanting a cute bag to use for the gym or even when I travel. So below are also some of my favorites that I have and or want! I haven’t stopped wearing this Under Armour shoes since I received them in Mid-August. LOL I’ve washed them 3 times since then. They are legit my favorites. I’m loving those sneakers, but overall this whole look is cute and casual. I love having comfy clothes when I’m working from home! Now that I’m back to the gym I need to shopping for these!! Looks comfy! Yaaaas! Part of the fun of a good workout is cute workout clothes! Love your sweatshirt, and those cute sneakers. This outfit looks so comfy and cute girl! I love athleisure, will definitely need to grab these! Oooh those kicks are on fleek girl!! If I could live in yoga pants I totally would… that and probably trackies haha!! Thanks for sharing your favs hun!! 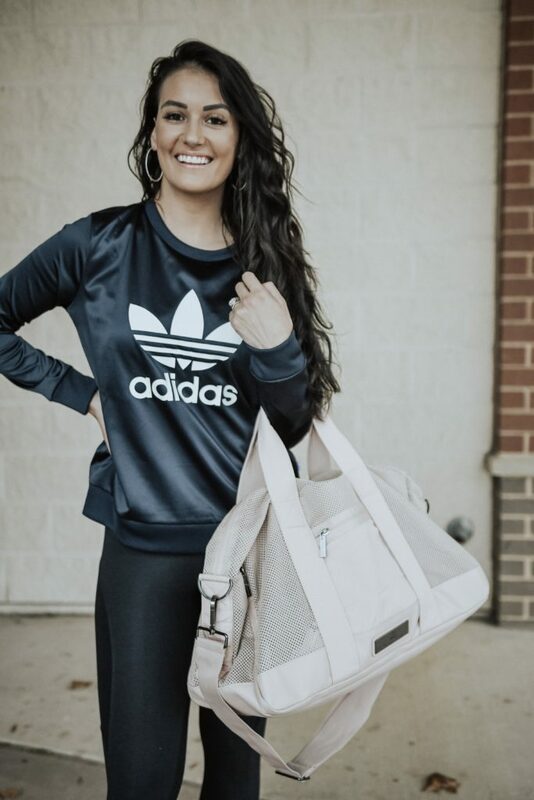 I’m all about a comfy athleisure look! These yoga pants and sweatshirt combos are so up my alley! 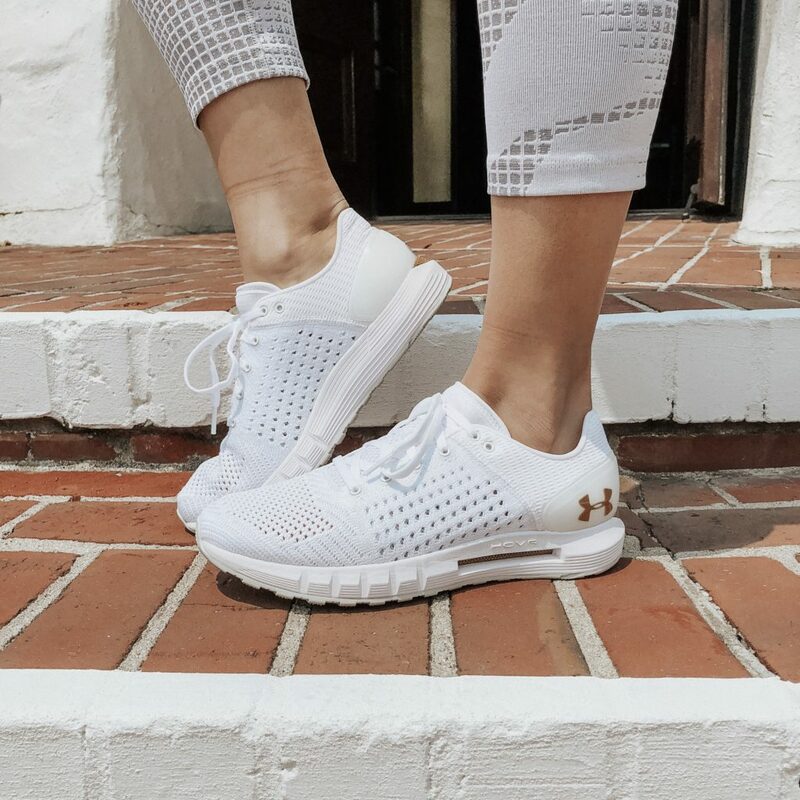 I think I need to get these white Under Armour sneakers! Love the gold detail! So me! I also have the Adidas sweatshirt and its amazing! These sneakers are amazing. Loving the details! Oooo loving those Under Armour sneaks so much girl!! These are both staples in my every day/weekday wardrobe! I’m so picky when it comes to yoga pants or leggings, some of them are cut so weirdly! I totally agree that Yummie makes awesome products! Great blog post girl! I started working out again recently but I only have clothes like workout shorts and sports bras and such. It’s getting a bit chilly when I’m going on runs! These look like they’d be perfect for the cold weather but still allow me the breathe in my clothes. I love that they are affordable too. Thank you for sharing!